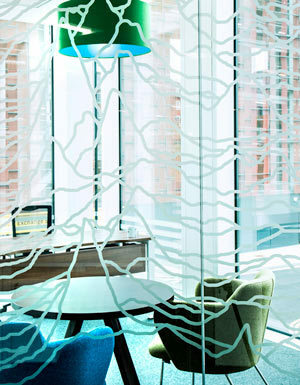 Overbury has delivered a modern, dynamic headquarters for musicMagpie at Stockport Exchange, in South Manchester. 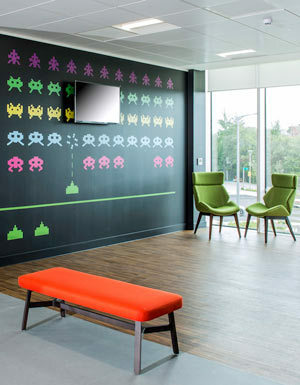 National refurbishment and fit out specialist Overbury has delivered a modern, dynamic headquarters for musicMagpie at Stockport Exchange, in South Manchester. Overbury was appointed to carry out an eight-week fit out at the iconic Grade ‘A’ office scheme, which was developed by Muse in partnership with Stockport Council. Due to the company’s rapid expansion, the project needed to be completed quickly and efficiently to ensure a smooth transition from its smaller premises. The online entertainment retailer relocated, on the scheduled completion date, from Hazel Grove to take 10,000 sq ft on the first floor of the prominent office location. The move has coincided with the company’s 10th anniversary and comes after its co-founders, Steve Oliver and Walter Gleeson realised the company needed larger, higher specification offices with excellent transport infrastructure to enable the business to grow further. Steve Oliver, CEO of musicMagpie, said: “Manchester and Stockport have become a hot bed for growing tech companies and so competition for the best employees is fierce. Relocating to Stockport Exchange ensures we provide a great working environment for our existing and new staff as well as helping to attract the best talent.